Our merchandise is available for purchase during our speaker series evenings, during the workshops, and at the ASA table at various events. Feel free to contact us if you are interested in purchasing merchandise or track us down at one of our various events. Also check out our publications available for purchase. Who knew lithics could be so tasty? Some of our customers have even commented that they are de-lithic. They come in two point styles—Alberta and Clovis—and are made of either milk or dark chocolate according to your preference. The pocketknife, pen, and pocket loupe in the image provided above are to provide scale for these hefty and delicious archaeological reproductions. These are an exciting new addition to our inventory. 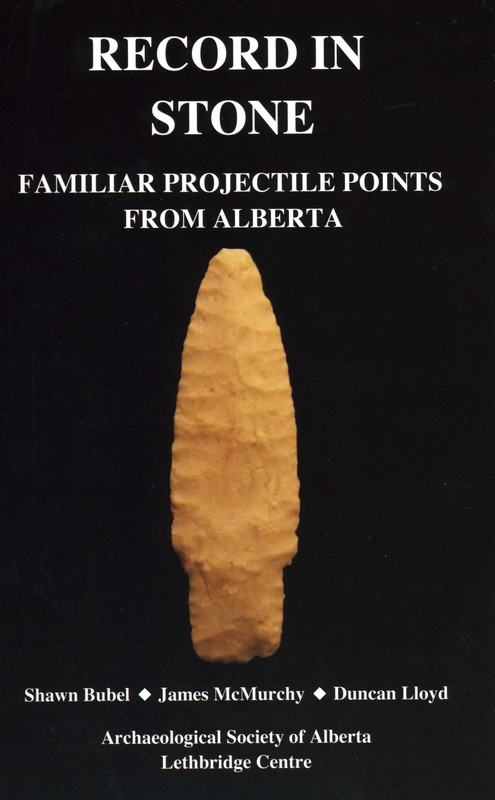 Carry them into the field or the lab and you will have a handy reference guide for common projectile points found in Alberta. The bandannas come in your choice of khaki or white. 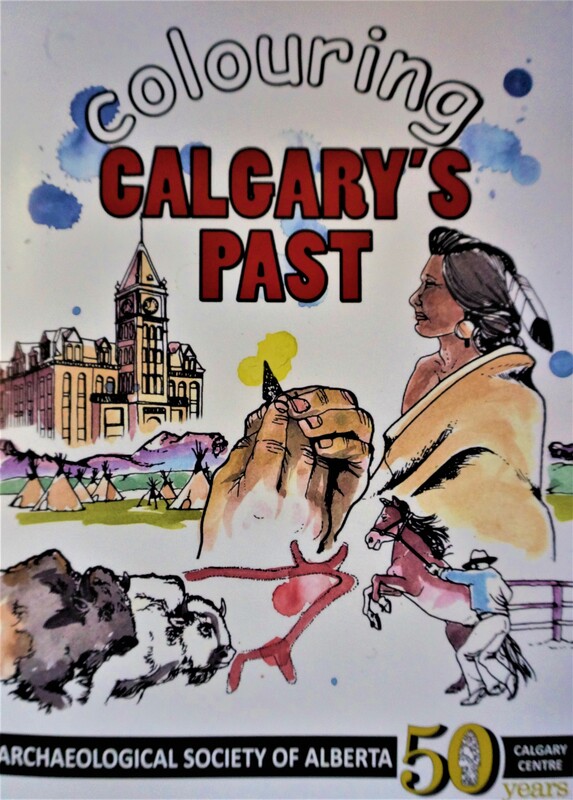 Colouring Calgary’s Past Activity Book – Free! This activity book is free! We provide them at our events and booths around the city for kids to take as they please. Colour the past how you like or see if you can solve mazes and puzzles found inside! Perfect for kids learning our city’s history. 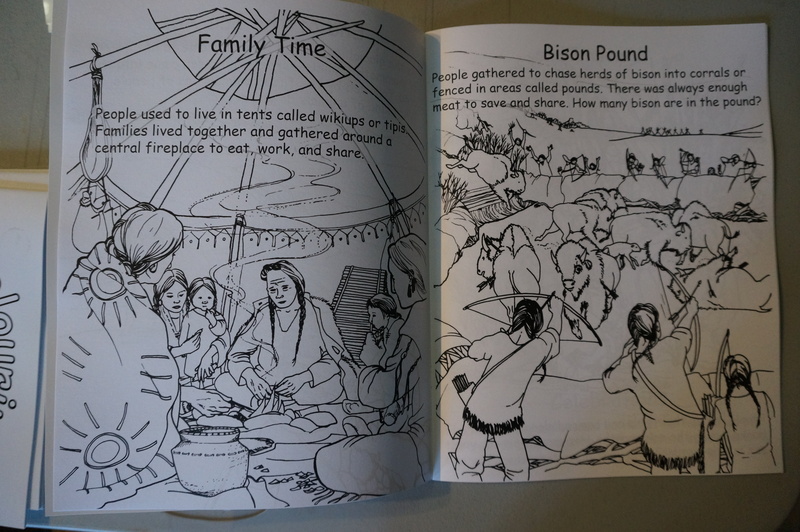 This book is also available in bulk for teachers and organizations to hand out to large groups of kids! And it is also Free! 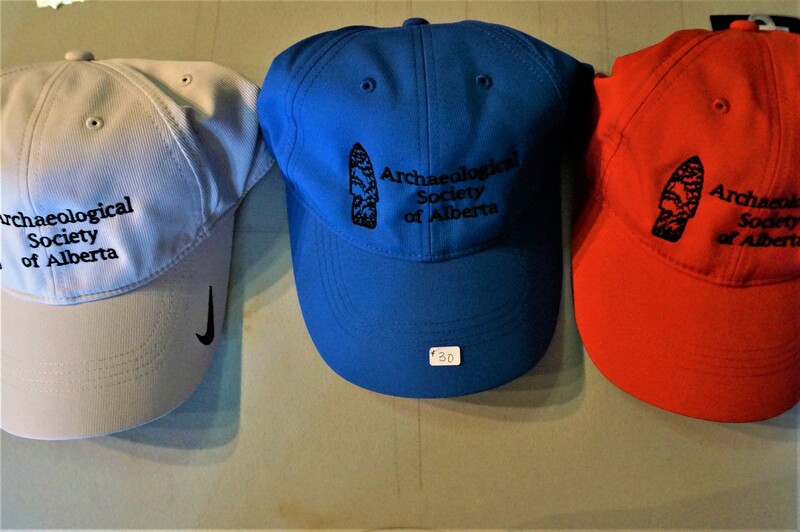 Just email us at info@arkycalgary.com if you would like more information on orders.